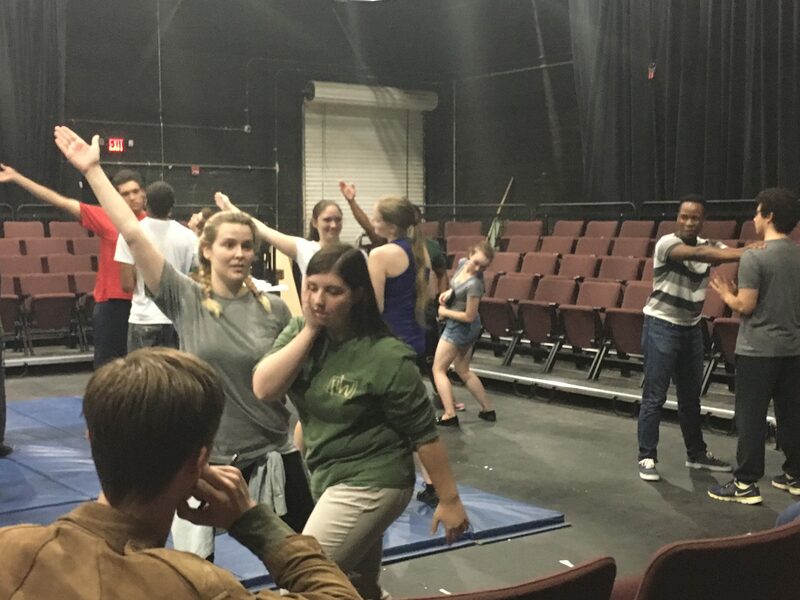 As we continue to workshop our devised production of Don Quixote, we’ll post some photos from time to time. Here’s a couple from the first week of October – our process is to break the story down into shorter parts (sometimes a couple of the 125 chapters at a time) and do a quick “bad first draft”, staging it in just a few minutes. We video the draft, then watch it back and make decisions about what we could do better, or differently, or more interestingly, then get back up, re-stage it, film it and watch it again. After multiple passes, we end up with a stronger (yet still rough) draft of the scene. Over the next month, we’ll take these rough scenes and work through them until we put them down in script form, to tighten the action and clean up the dialogue. Lauren Gunn executes a non-contact stage slap on BFA Musical Theatre major Christy Robeson. For a Friday Seminar session a few weeks ago, we were treated to a stage combat workshop by MFA candidate Lauren Gunn – who previously served our department as administrative assistant a few years ago. She is working on her graduate degree in acting at the University of Southern Mississippi, and brought some of her training in unarmed stage combat back to share with our students. A lot was learned in a short time, but we are looking forward to the opportunity to have Ms. Gunn return for further instruction in the future! 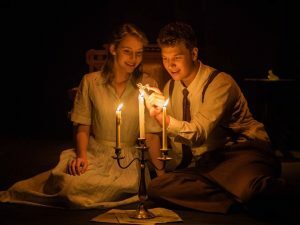 Belhaven University Theatre Department will present Tennessee Williams’ timeless memory play The Glass Menagerie September 27-30 in Barber Auditorium in the Library building on Belhaven’s main campus. An extremely complex and emotional play such as this is always a challenge to present, but our brave cast and crew are tackling the play in an intense rehearsal process, where the cast was set only 4 weeks ago. Our cast is made up of 4 BFA performers – Grace Reeves (junior, Acting) as Amanda, Noelle Balzer (sophomore, Acting) as Laura, Christopher Miller (freshman, Acting) as Tom, and Caleb Henry (sophomore, Musical Theatre) as Jim. Barber Auditorium is a highly intimate space, which can bring out the best in performance, but presents special challenges for the design team and our director, Dr. Elissa Sartwell. We are excited about the dramatic potential of presenting a play with such personal power in a space with such immediacy. Join us next week for The Glass Menagerie! To reserve seats, contact boxoffice@belhaven.edu or call 601-965-7026. One of our productions for this semester is a devised theatre work based on the novel Don Quixote – which will be in production in November. 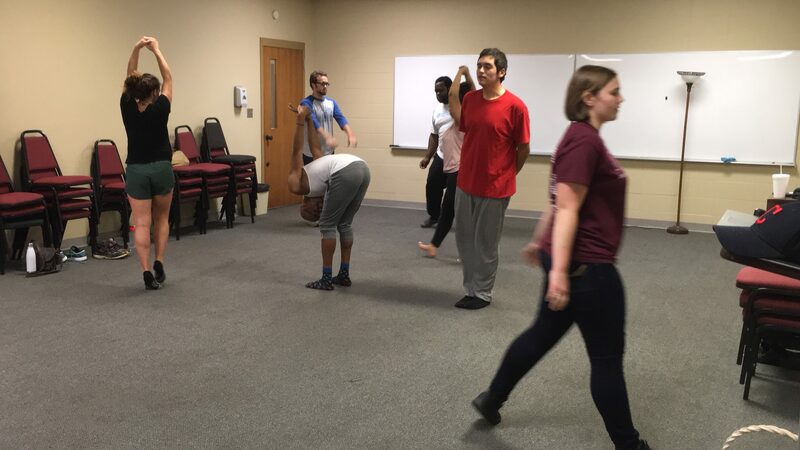 Devised theatre is a process of creating a play as an ensemble, and the early part of rehearsing is largely about learning to create together, and establishing an environment where we all feel comfortable sharing ideas and allowing each other to respond and expand those ideas. 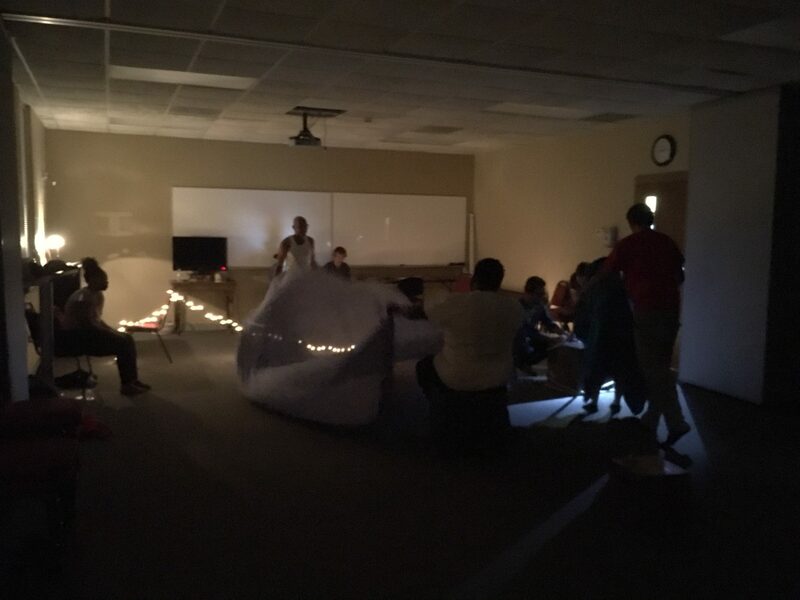 Here’s a couple of quick photos of our first rehearsal this week – learning Viewpoints and getting to play with some props and lighting effects. This year, as a department, we are taking headshots so our students’ photos for our productions this season have a consistent look to them. 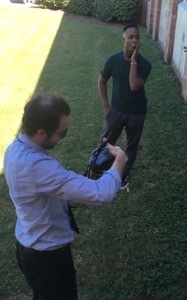 For some of our students this is the first time doing headshots this way, so it can certainly be a learning experience. Hopefully we can share some of the finished product with you as you see this season’s productions! 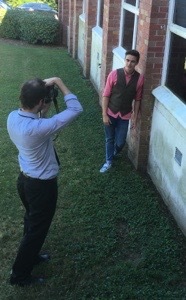 Thanks to our friend David Sprayberry for taking our photos this year! As Belhaven University begins another academic year, and we begin the process of a new season of productions, a new semester of classes and activities, we thought we’d take a chance on giving a new start to our theatre department blog. Look for information about Belhaven University productions, classes, student projects and showcases, faculty activities, and other information that we hope you will find informative and valuable as you consider the connection between Christian faith, the arts, theatre, and our world. Student blogger Eric Henderson offers a few tips for tackling the summer job search. These are all questions many of us are asking ourselves as we finish up our spring semester and begin to plan for the next step. 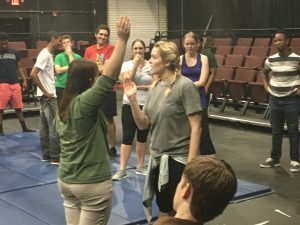 For some of us, a job through SETC working summer stock or an internship in props, costumes, or sound has already presented itself, but for those who haven’t quite found the right job yet, here are some resources to help you make it over the next hump and into a successful summer of training and experience. 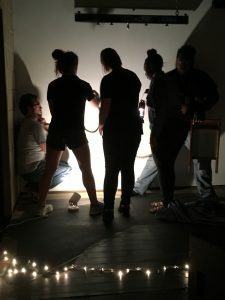 Backstage (aka Back Stage) is an entertainment-industry brand aimed at people working in film and the performing arts, with a special focus on casting, job opportunities, and career advice. Backstage publishes a full-color glossy magazine in the U.S. (also available as a PDF) and a periodic digest-sized resource directory (Call Sheet) that covers the entertainment industry from the perspective of performers (singers, dancers, comedians, models, etc. ), the performance unions (SAG-AFTRA, Actors’ Equity Association, AGVA, AGMA, the American Federation of Musicians, etc. ), casting directors, agents, writers, directors, and, in particular, actors. Backstage also publishes related newsletters, produces industry trade shows (such as Actorfest), and hosts various panels and screenings, along with running multiple websites, including Backstage.com, Call Sheet Online (formerly known as RossReports.com), The Backstage Message Boards, Audition Update, and Backstage University. Playbill is a free website that offers job postings, actor interviews, Broadway history, and breaking news about the theatre industry, focusing on New York shows but including regional, touring and international stage happenings. The Equity is an American labor union representing the world of live theatrical performance, as opposed to film and television performance. The Equity offers job postings, actor interviews, Broadway history, and breaking news about the theatre industry as well, but they cater to actors on a greater scale to increase pay and locate jobs for actors needing work. All these conventions have an application process, cost, and deadlines to meet. At these conventions you have the options to audition and/or interview with hundreds of companies to do everything from acting to stage management to scene design, and costume design. SETC’s website also offers a Job Board for its members which details all manner of theatre jobs. offstagejobs.com is another great resource. Finally I would check with department heads and acting professors. They have been where you desire to be and would enjoy nothing more than to see you thrive! Student-directed Look Away will kick off the spring season of shows at Belhaven. Student blogger, Eric Henderson shares his thoughts on this stirring piece of theatre being produced in our Second Stage space. It is my pleasure to announce that on Thursday February 12th, 2015 a two-act play based on Mary Todd Lincoln and her seamstress and confidant, Elizabeth Keckley will kick off our spring semester of shows. 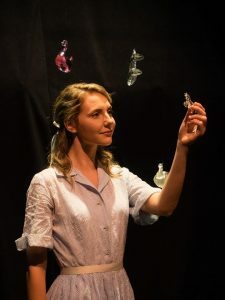 This compelling production is based upon the life and letters Mrs. Lincoln wrote to friends and family during President Lincoln’s terms, after his assassination, and during her stay in the Bellevue Hospital for the insane. The action of the play occurs in that hospital on Mary Todd Lincoln’s last night of residence before her sanity hearing. A stirring journey toward hope and recovery through avenues of grief, the first show of our spring season is not to be missed. Look Away was first presented at the Playhouse Theatre in New York City on January 7, 1973 with Geraldine Page as Mary Todd Lincoln and Maya Angelou as Elizabeth Keckley. 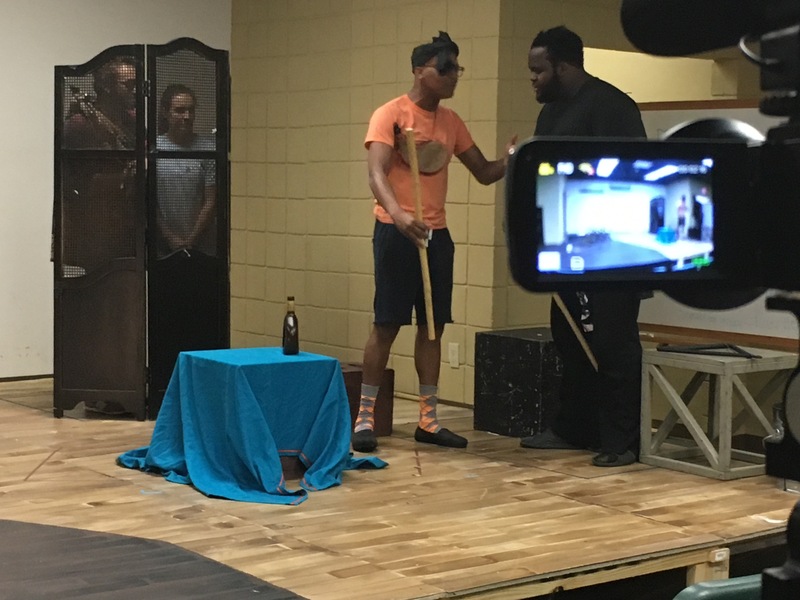 Look Away by Jerome Kilty runs Thursday, February 12th through Saturday, February 14th with performances nightly at 7:30 PM in our Second Stage space located in the Center for the Arts. Tickets are $10 for adults, $5 for students and senior citizens. Admission is free for Belhaven students, faculty, staff and their immediate families. For reservations, call 601-965-7026. Opening this fall in Belhaven University’s Theatre Department is The God Committee written by Mark St. Germain and directed by Professor Joseph Frost. Recently, we sat down with the cast to learn more about the show and the process of putting it together. A: The show deals heavily with the humanness of mankind and its ability to deal with ethics, morality and personal life. Average human beings have to gather together and rely on one another to make the best decision about the life of patients they believe to be the most deserving of life. Q: What is the central issue? A: The play centers around the panel of doctors, nurses, surgeons, and psychologist that are apart of hospital transplant selection committee that makes the final decisions on which person has been good enough to live and is worthy enough of a heart. Q: What have you gained through the process? Q: What do you hope the audience will gain from the show? A: The cast hopes that every individual will discover something new about themselves as well by asking themselves –what decisions would I make in the situation? Did or am I making the right choice? Most importantly each individual will leave with a newfound appreciation for life and its fragility. Q: What have been the better or difficult parts of the rehearsal process? A: Overall, even though the show is a modern drama it is full of comical moments and heartfelt stories of life and our place in it. The hard part of that is trying to smile amidst something that is not at all easy to smile about. 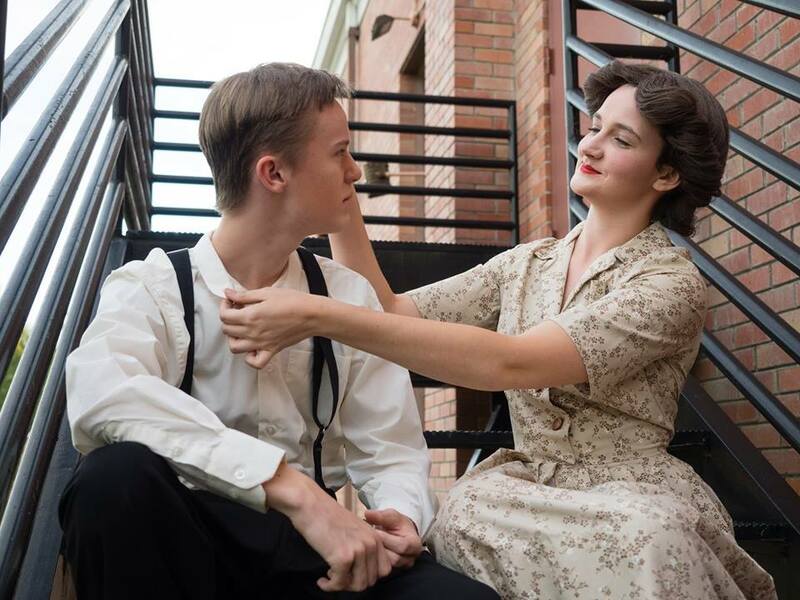 Laina Faul, a sophomore Theatre Ministry major, believes that humans possess such a power within themselves that they can go their whole lives not understanding, but within the show I get to see people embody evil and grace along with truthfulness and rage. 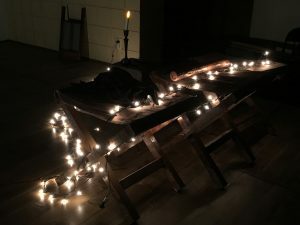 Some people never get to explore that part of themselves –so maybe many will get to see parts of themselves in the show and use all the knowledge to grow themselves. The God Committee opens October 1-4, 2014 at 7:30PM and a 2:00PM matinee on October 4th, 2014. Come with us and make a choice! Plays will be selected for production by students in the fall Directing class, and will be produced in November 2014. 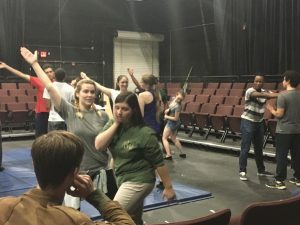 It is the mission of the Belhaven University Theatre Department to train servant artists in the use of the art of theatre in service to their collaborators, their community and their Creator.